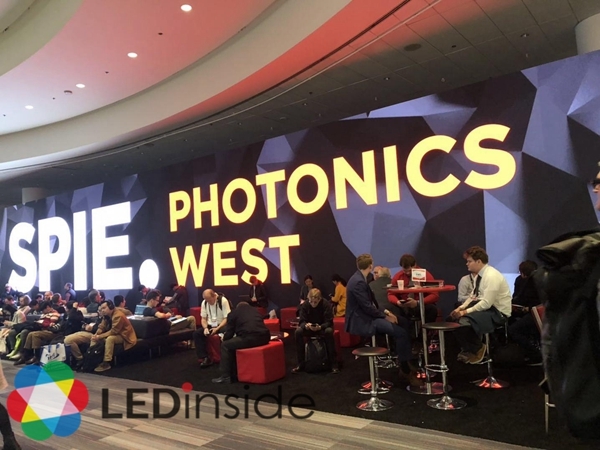 Photonics West 2019 is the largest photonics exhibition in the world with the most centralized visitors. As an international photonics industry event, Photonics West is held annually in San Francisco. During the show, deep UV LED, with its advantages of environmental friendly, long-lifetime, energy-saving, less heat loss and more, has attracted attention of visitors. The market of deep UV LED continues to expand as its product reliability and application demand increased. Nichia exhibited industrial laser and UV LED products at the show. The company’s industrial UV lasers are mainly used in the PCB exposure machine since it is easier to achieve collimated light design compared with UV LEDs. 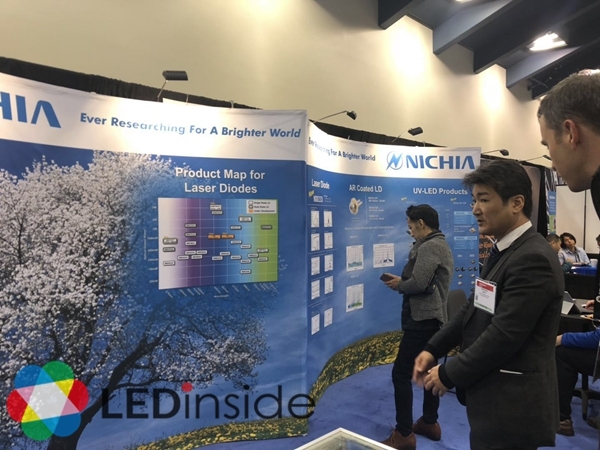 In addition, Nichia's new UV-C LED products will be officially released in April this year with sample products testing by its customers currently. The optical output power of the product can reach up to 60mW. 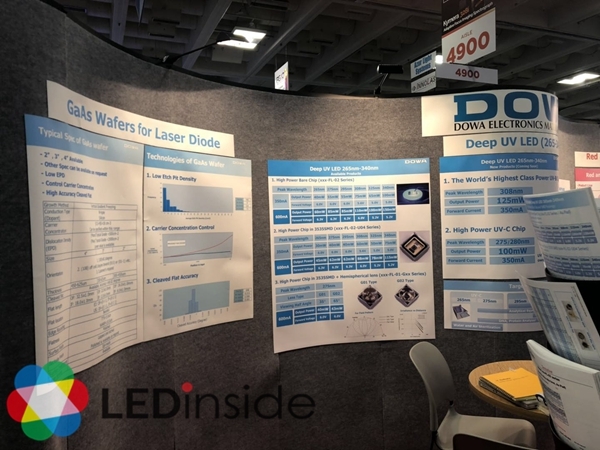 DOWA demonstrated a range of deep UV LED products with wavelength of 265nm-340nm. The 340nm UV-B LED product can reach 150mW (600mA), and the 265nm UV-C LED can reach 60mW (600mA). At the exhibition, a product from Eotron which adopted DOWA’s 25 UV-C LED chips was displayed. Its output power can reach 1.25W and reach a light intensity of 1.8 W per square center meter under the illumination area of 8.3mm x 8.3mm. Violumas, the UV division of Flip Chip Opto under the Cofan Group, is known as a supplier for full-service UV LED products and solutions. Cofan Group's aluminum substrates use CMC process to embed copper tube, in order to improve heat dissipation. 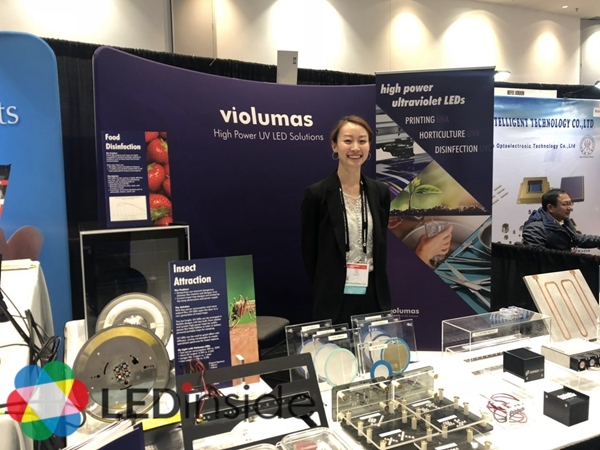 Combined with UV-A LEDs to achieve a module capability of 2500W, Violumas UV-A LED module has been used in the Inkjet Printing equipment market. Meanwhile, its UV-C LED products are used in applications including Insert Attraction and food preservation. In the future, Violumas continues to be optimistic toward the development of varios applications. UVphotonics showcased its latest deep UV LED developments jointly with the Ferdinand-BraunInstitut (FBH). 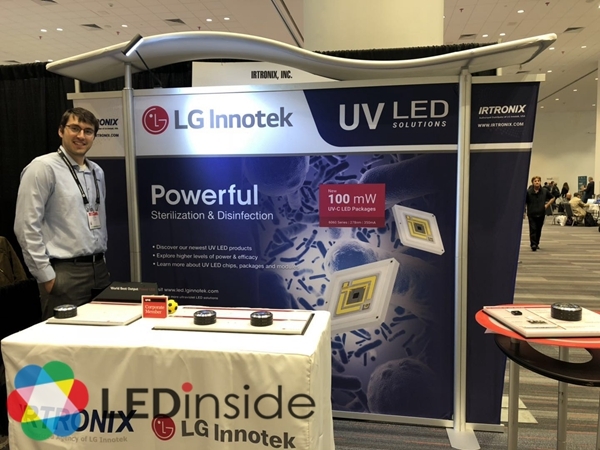 The featured products of UVphotonics at Photonics West 2019 comprised 310 nm UVB LEDs with output up to 30 mW (350 mA) and 265 nm UVC LEDs with output bigger than 25 mW (350 mA). Also, fully packaged UVC LEDs with single emission peak at 233 nm and an output power of 0.3 mW at 100 mA were showcased. LG Innotek showcased 100mW 280nm UV-C LED products, and is continuing its development of 150mW products. Dr. Ryan Chuo at San’an Optoelectronics gave a presentation about deep UV technology and current progress at the Photonics West. The high efficiency improvement of deep UV LED products relies on three factors including internal quantum efficiency, carrier injection efficiency and light extraction efficiency. The report of Dr. Chuo focused on internal quantum efficiency and carrier injection efficiency. Currently, the power output of San’an Optoelectronics’ UV-C LED products are mainly 1-4mW (20mA), and the high power can reach 30~60mW (350mA). The company also provides module customization services. These products can be applied in washing machines, toilet disinfection, and drinking water sterilization. 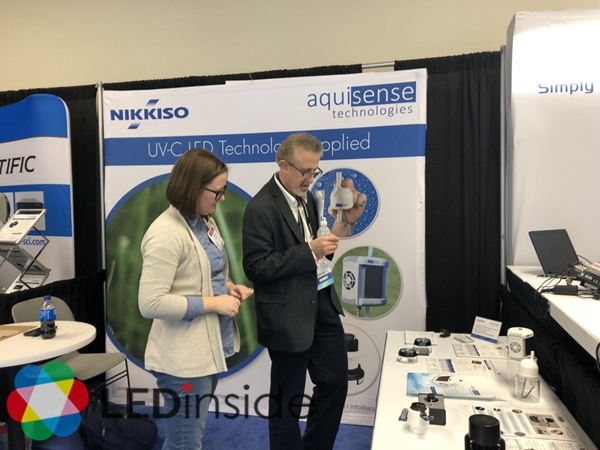 Nikkiso has acquired AquiSense to develop UV-C LED sterilization and purification modules, and achieved good results in 2018. According to LEDinside, many LED manufacturers are actively developing UV-C LED products, including home appliances, static water sterilization, lighting, food preservation, and even the added value of the current products. With the advancement of product technology, it is also possible to move towards to flowing water sterilization, water treatment, food processing sterilization, commercial and manufacture. LEDinside will launch a new report, titled "LEDinside 2019 Deep UV LED Application Market Report - Sterilization, Purification and Potential Markets" in April 2019. In addition to the UV LED market value, market volume, price and player’s revenue and strategies update, it will focus on the deep UV application market research and study, providing readers a more comprehensive understanding of the deep UV application market.